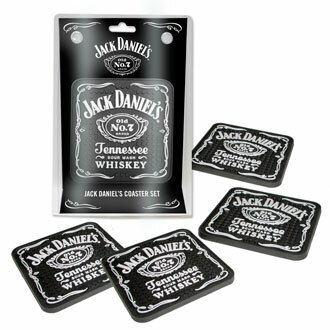 Jack Daniel’s Coasters act like mini beverage mats for your glass! No slip, contoured rubber construction protects from drips and spills. Set of four.